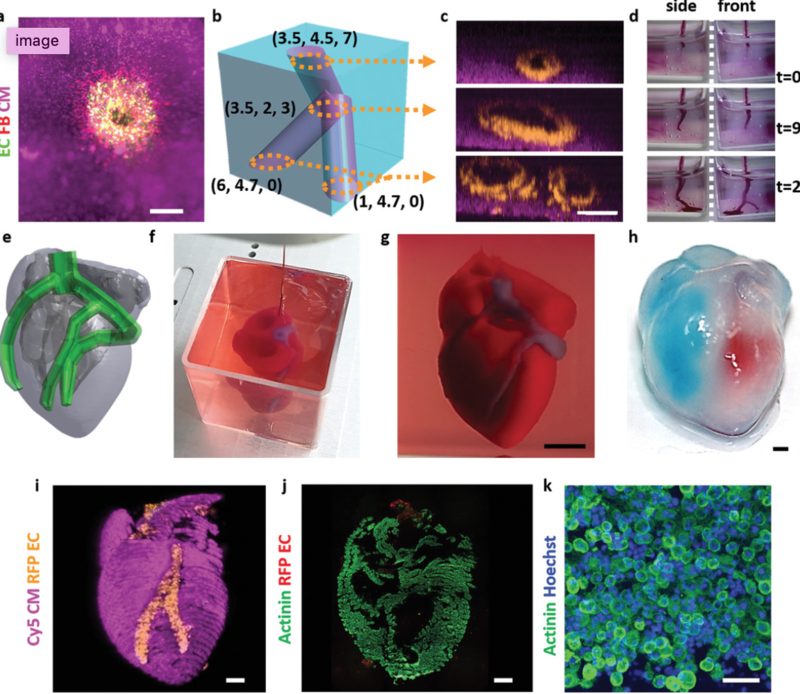 Tel Aviv University professor Tal Dvir has printed a 3D vascularized engineered heart, including cells, blood vessels, ventricles and chambers, using a patient’s own cell and biological materials. A biopsy of fatty tissue was taken from patients. Cellular and a-cellular materials were separated. While the cells were reprogrammed to become pluripotent stem cells, the extracellular matrix were processed into a personalized hydrogel that served as printing “ink.” After being mixed with the hydrogel, the cells were efficiently differentiated to cardiac or endothelial cells to create patient-specific, immune-compatible cardiac patches with blood vessels and, subsequently, an entire heart. Dvir believes that this “3D-printed thick, vascularized and perfusable cardiac tissues that completely match the immunological, cellular, biochemical and anatomical properties of the patient” reduces the risk of implant rejection. The team now plans on culturing the printed hearts and “teaching them to behave” like hearts, then transplanting them in animal models. Applications include continuous blood pressure monitoring in heart and lung disease, the critically ill, and those undergoing surgery. It could be used to measure other vital signs, but this was not studied. The wearable measures central blood pressure, considered more accurate and better at predicting disease than peripheral blood pressure. Central blood pressure is not routinely measured, and involves a catheter inserted into a blood vessel in the arm, groin or neck, and guiding to the heart. A non-invasive method exists, but it does not produce consistently accurate readings. The Apple Watch has become a serious medical monitor. It will now be able to detect falls, contact emergency responders, and diagnose irregularities in heart rhythm and blood pressure. 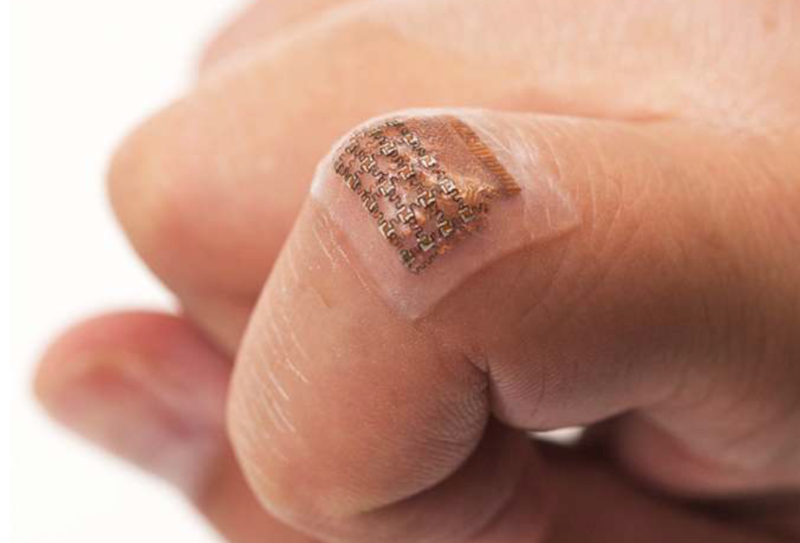 Its ECG app has been granted a De Novo classification by the FDA. ECG readings are taken from the wrist, using electrodes built into the Digital Crown and an electrical heart rate sensor in the back crystal. Users touch the Digital Crown and receive a heart rhythm classification in 30 seconds. It can classify if the heart is beating in a normal pattern or whether there are signs of Atrial Fibrillation . All recordings, their associated classifications and any noted symptoms are stored and can be shared with physicians. 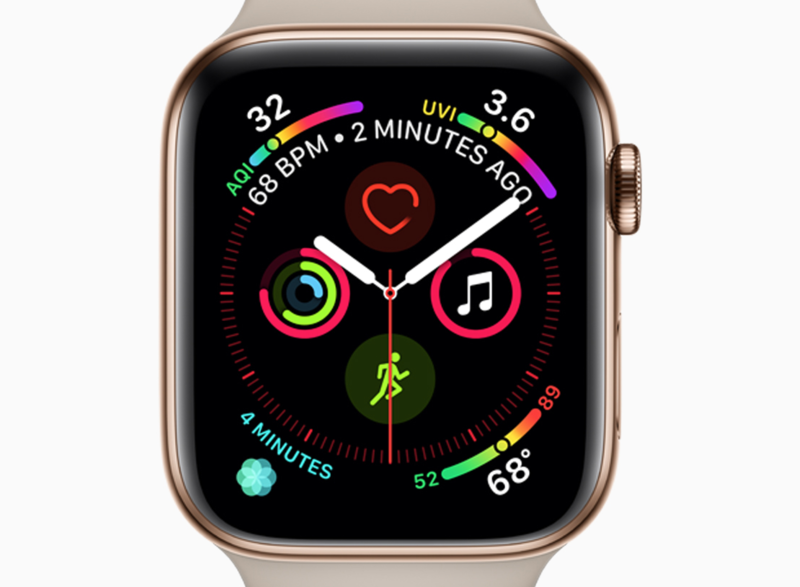 The watch intermittently analyzes heart rhythms in the background and sends a notification if an irregular heart rhythm such as AFib is detected. It can also alert the user if the heart rate exceeds or falls below a specified threshold. Fall detection is via a built in accelerometer and gyroscope, which measures forces, and an algorithm to identify hard falls. Wrist trajectory and impact acceleration are analyzed to detect falls. Users are then sent an alert, which can be dismissed or used to call emergency services. If immobility is sensed for 60 seconds, emergency services will automatically be called, and emergency contacts will be notified.